Look what I found . 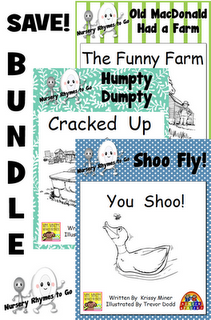 . . Differentiated Reading Done For You and a FREEBIE! The one thing I always hear when people start considering the process of differentiating their instruction is that they just don’t have the time and they don’t know where to start. I know, believe me, I get it. 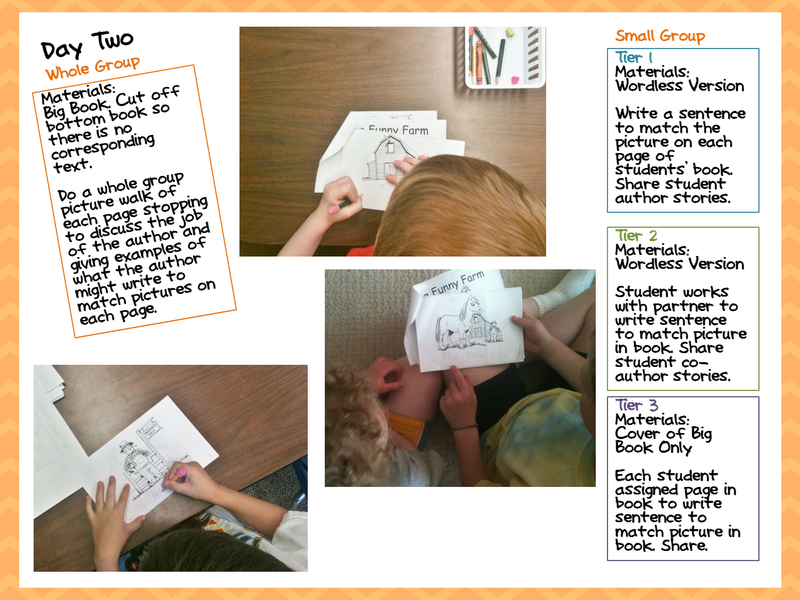 Tiering, compacting, flexible grouping, learning centers . . . it all takes time. If it didn’t, everyone would be doing it and we wouldn’t be having this conversation. I’m always on the lookout for products that can help me out and free up some of my time by doing some of the work for me. My problem is that there haven’t been many things that I have found that are differentiated and ‘ready to go.’ I always seem to have to tweak it somehow. Aggghhhh. More work and that can be soooo frustrating. Don’t get me wrong ‘easy to differentiate’ is good and everything, but it still means I’m going to be putting some time into it. Now ‘differentiated’ that’s what I prefer. When a product is ‘differentiated’ it means (hopefully) the hard work has been done for me. I’m please to say, I found one such product that has me so excited and my only complaint about it is . . . I want MORE. Now I don’t know how many of you use a reading series that offers those little predecodable and decodable books that you can have your kids read to go along with your weekly lessons, but they aren’t particularly a ‘good fit’ for hmmmm lets say 60% of the students in my class. They’re either too easy . . . BORING!!!!! Or too difficult . . . grrrrr frustrating! But these little gems from Krissy . . . 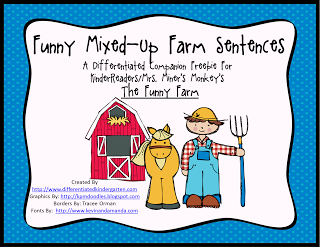 I can give all my kinder readers a great fit that’s equally engaging. I was able to do soooooo many great activities with all my different groups and these books this week. It was GREAT. I love it when I have more to do than there is time to do it in. What a great dilemma! 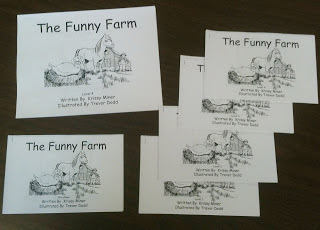 I decided to use her book, The Funny Farm this week because the surprise ending went great with my dinosaur theme and quite, honestly, my kiddos thought that was just the best coincidence ever. Here’s a quick look at just some of the activities I did, but like I mentioned, there was sooooo much more I could have done if only I had more time. My kiddos LOVED pretending to be an author and having the opportunity to write the text to go with the pictures before having read he ‘real’ sentences. My kiddos beg for ‘guess the covered word’ so I thought this would be a great opportunity to let them do it at their level. Here’s the thing that I think is a MUST for tiering activities, you have to offer equally engaging activities for all levels of readiness. You can’t have your struggling students looking over at your high fliers, frustrated that they can’t do THAT activity or have your high fliers looking over at your struggling students thinking that THEIR activity is more fun. I would never give my stuggling students a great I-Spy activity only to leave my highest students with a worksheet (I hate traditonal worksheets by the way and you’ll be pretty hard pressed to find one in my class-but I’ll save that for another day.) All levels need to be equally engaging and interesting. And with these little readers, I was able to offer ALL of my students just that. Of course there are two other books in the series that I’m dying to get to use before saying to good-bye to my kinders this year, but I have to hope that Krissy and her buddies over at KinderReaders decide to keep working on these wonderful tiered readers over the summer so I can keep engaging my students with materials to meet them at their own readiness levels. 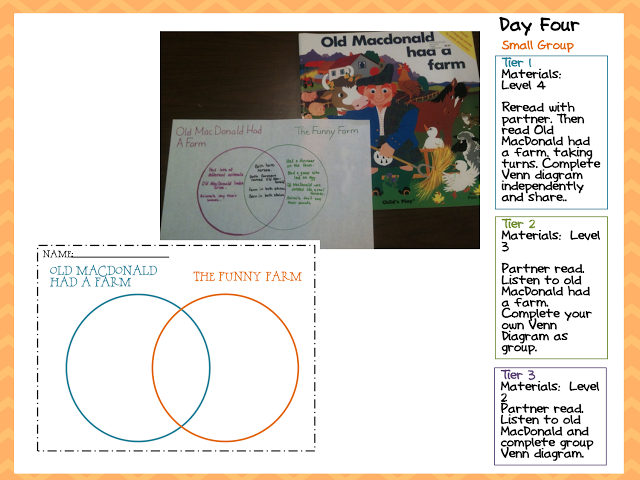 In the meantime over the summer, I’ll keep a look out for other great ‘differentiated’ materials to help you all on your journeys toward a differentiated classroom and pass along any other great gems that I find. 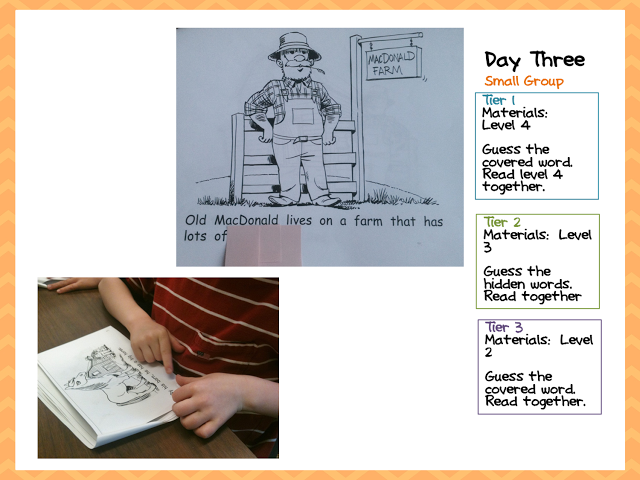 Is on-going assessment driving your differentiated instruction? 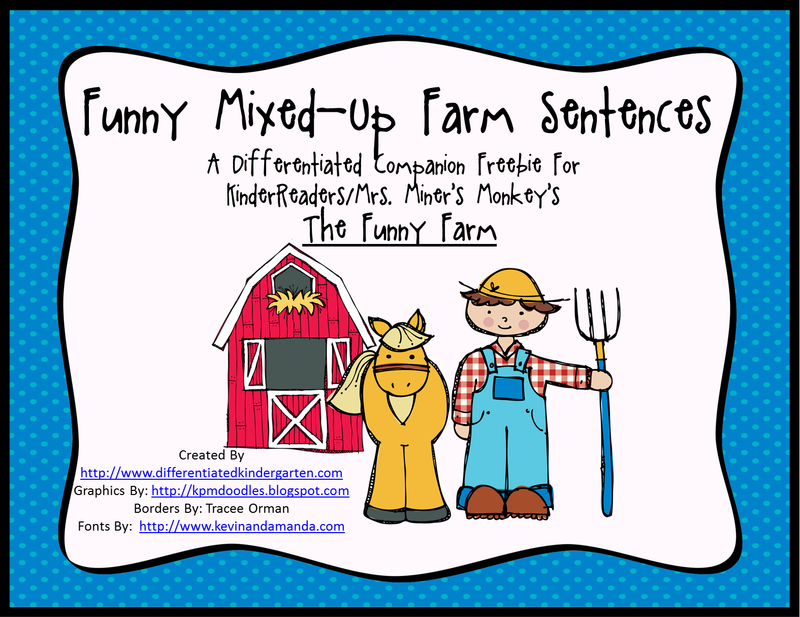 TWO Differentiated Nonsense Word Games In One for FREE!!!!!!!! Are you filling your cart yet? And $600 worth of freebies for everyone! Yes! Definately follow Krissy. 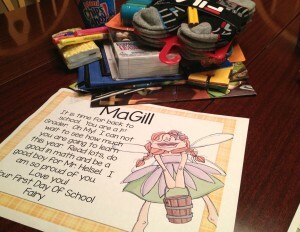 She has great ideas and activities for her kinders. And thanks for all the nice comments. Mrs. Stanford’s Class Blog is having a giveaway! 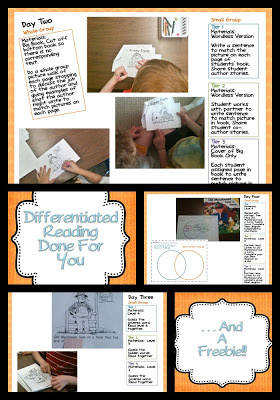 Thank you for sharing how you differentiate for your students. You take a tough concept and make it easy by showing how you do it and give us the resources to do it on our own. Jana, that’s about the nicest thing you could say to me. Thank you. 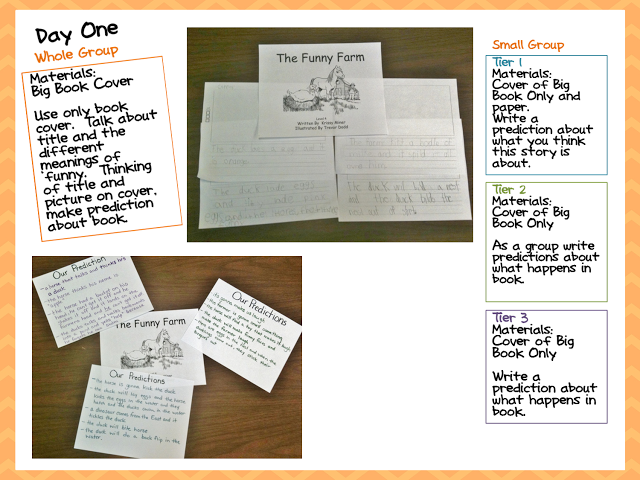 Marsha, thank you for another wonderful differentiated station idea. My kids are going to love their new farm station. Our graduation theme this year is “Down On the Farm.” I was so excited when I found this, but when I went to download it to print it, it kept saying it was unable to pull up (too many redirects.) I have no idea what that means. Is there any way you could email it to me? I apologize for the inconvenience! Thanks again for always “sharing!” Have a great week! Hmmm it’s coming up fine for me on google docs but I’m happy to email it to you. I do need your email address though. This is amazing! 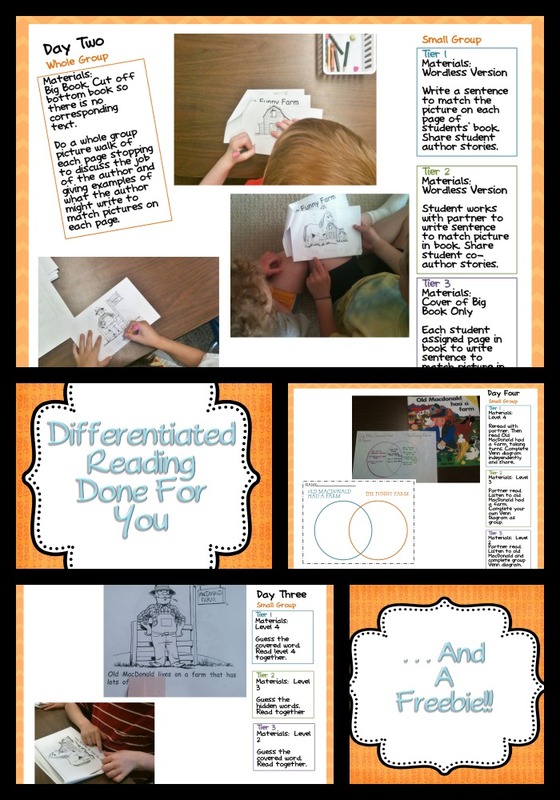 Thanks for sharing how to differentiate and making it so easy to understand.